While meeting the required abrasion resistance. Match Patch Pro's composition through its hybrid blend of resin, Portland cement and latex binders overcomes many of short-falls of the single binder products. There are no known equal or better architectural repair products. Exclusive in-field scientific color match system allowing easy, on site color matching of existing concrete slabs. 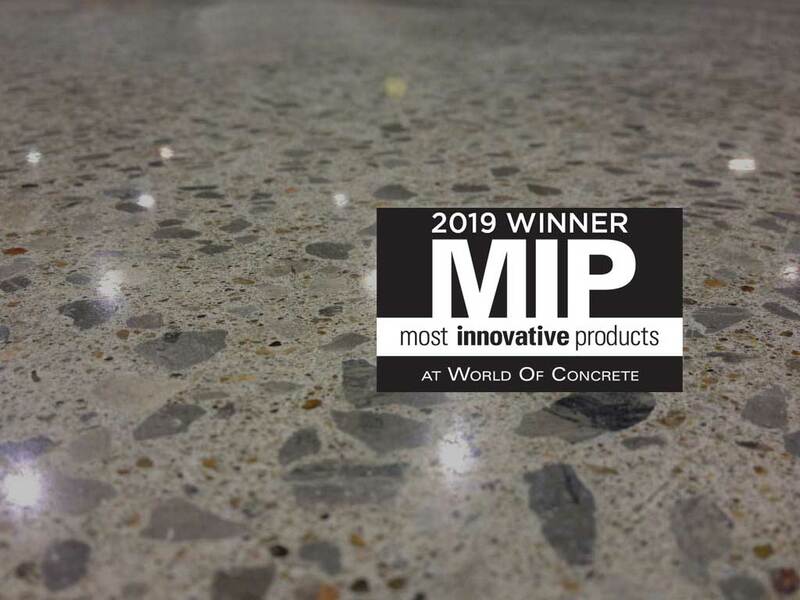 Only architectural concrete floor repair material that utilizes performance characteristics of multiple concrete binders. How long do you have to wait before polishing? Match Patch Pro cures for polishing in two hours. How long before you can grind? It cures in 20 - 60 minutes before the initial grind. Match Patch Pro accepts dyes. Yes. It densifies with Reactive Silicates. Does it match with aged concrete? 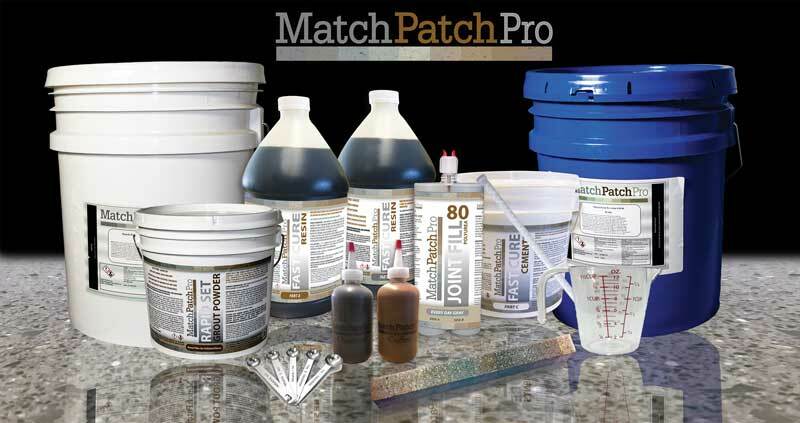 Match Patch Pro can be matched to concrete of any age close to perfection. Match Patch Pro does not shrink, crack, or fishbowl when being processed. Is there a strong bond? Match Patch Pro tenaciously bonds at critical repair edges and does not chip or break at the thinnest feather edges. Can fill spall of any size up to .20 cubic feet, even very shallow spalls or scratches. Can you notice the repaired areas? A virtually invisible crack/spall repair material. Will it leave a blemish? No resin/cement stain ghosting or halos around repair areas. Using the "Match Stick" you can get a very accurate color match and add the pigments as directed. Follow the same steps you would when normally polishing a floor. First densifying at your #200 metals, then applying resin and finishing the floor with your #400 metals. The Match Patch stick is a #400 finish polish. Match any type of polished finish with Match Patch.